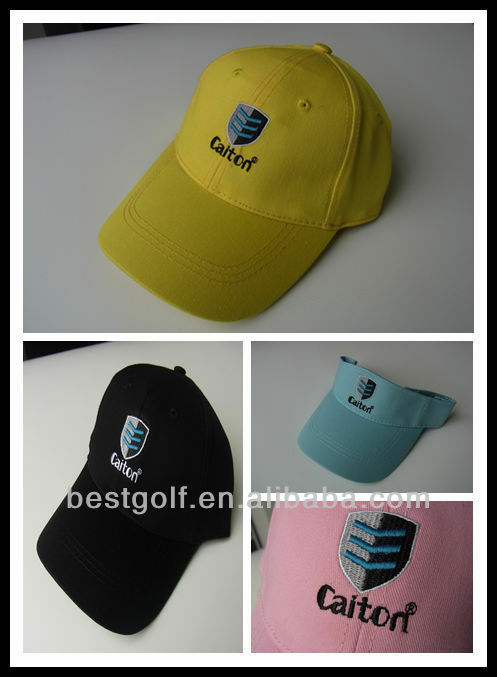 Custom and Cheap 2014 3D Logo Embroidery Lightweight Golf Cao Cheap Golf Caps Cotton Golf Caps Supplier and Manufacturer.--Shenzhen Best Golf Products Co., Ltd.
safe friendly to environment and heathy. 3. high quality with good price, welcome to visit factory. 4. "Caiton" is our logo, we supply all kinds of golf items, oem order is welcome. 5. OEM order is warmly welcome. Can design base on custom idea. Shenzhen Best Golf Product Factory,begin in 2004. supply golf tee, golf ball, golf ball markers, repair tools, golf swing trainer, golf pouch and other golf accessories. Our emphasis is providing creative, high quality and environmentally friendly products to our customers, we can make the products according to customers' ideas, images, designs and samples. Customers both home and abroad are welcomed to visit our factory and join us. If you want to know more details, feel no hesitate to contact me!